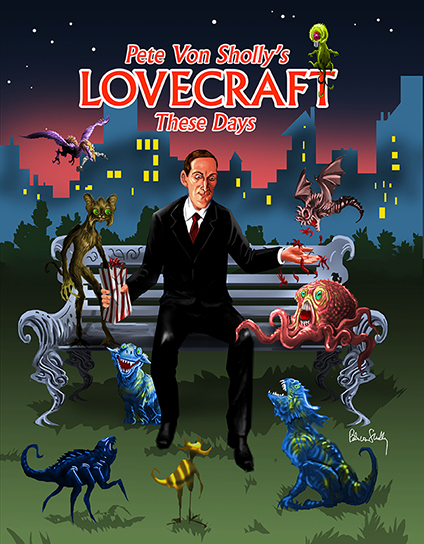 Lovecraft These Days puts H. P. Lovecraft's creations in the here and now as you've never seen them. All the elder awesomeness slithers, oozes and creeps into our world right out of the pages of the master of the macabre's finest stories. A humorous and hilarious look at that which we previously dared not look at! See things you hope will never see you.